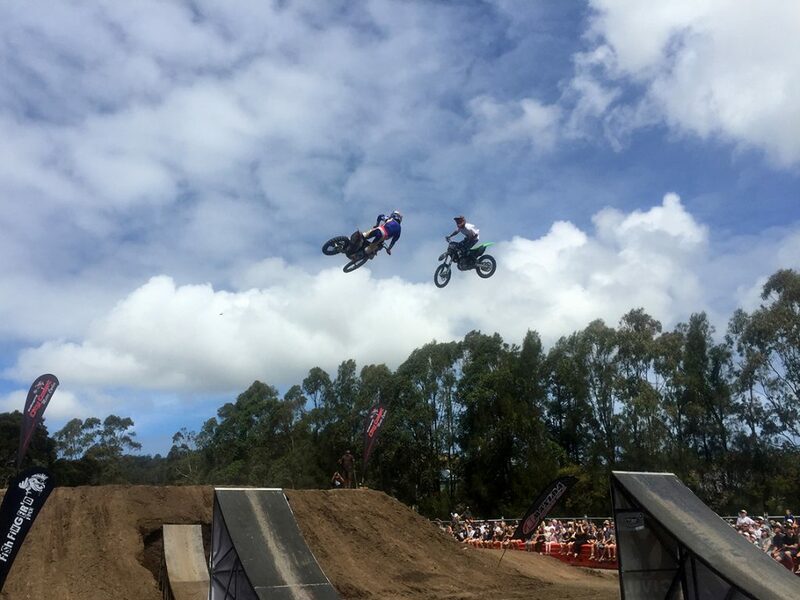 DOING FMX FOR THE KIDS! 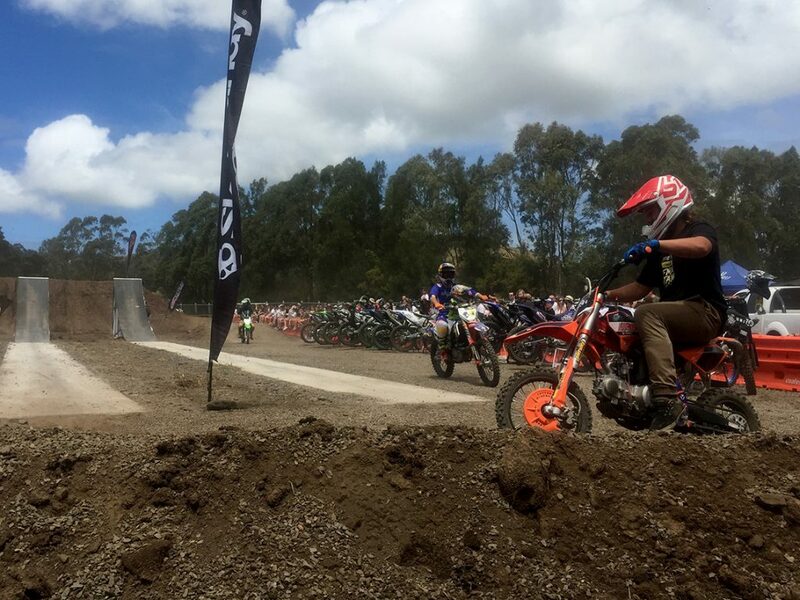 The City Coast Motorcycles Yatcon Civil FMX Jam was back for its third year at i98fm Illawarra Convoy on November 19. 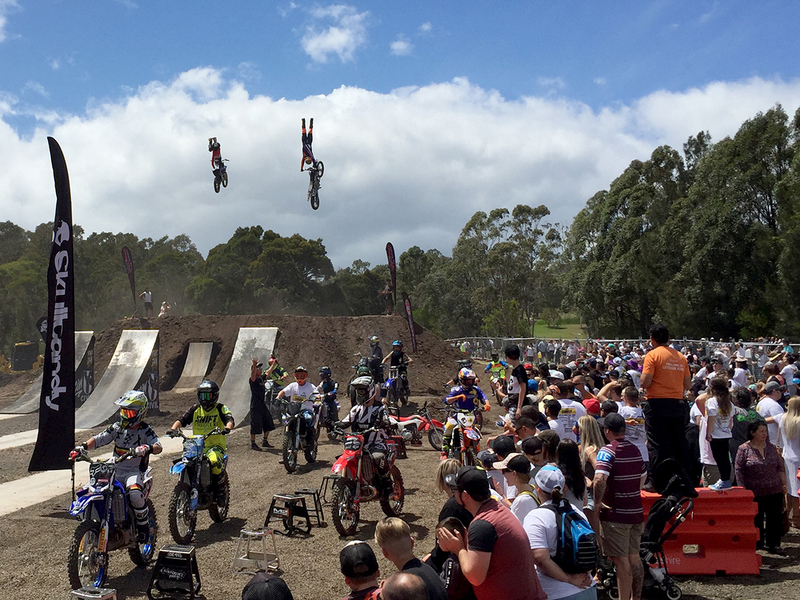 Thousands massed to watch many of Australia’s biggest names in FMX throw down at the region’s biggest charity gig. 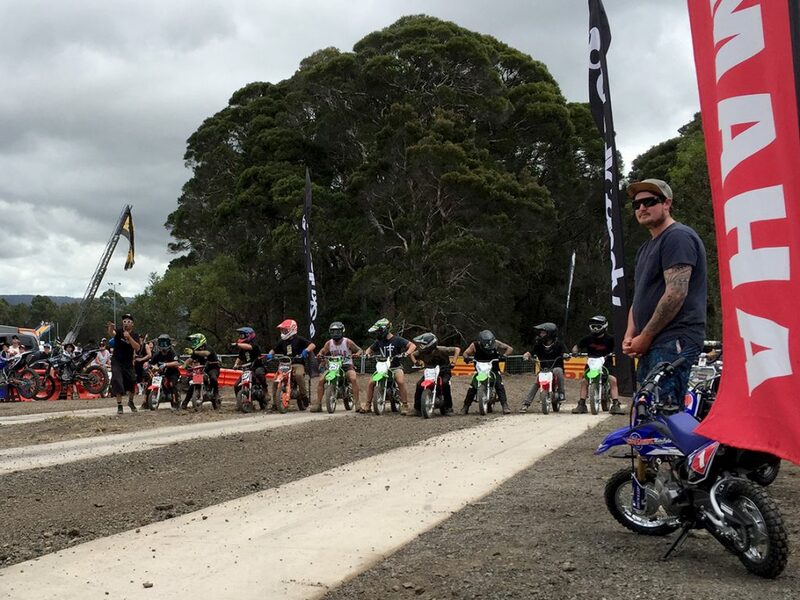 Just a day before the world class fmx stage was under rainwater, but Peter Yates and the Yatcon Civil crew pulled out all the stops to make sure the event went ahead for the kids. 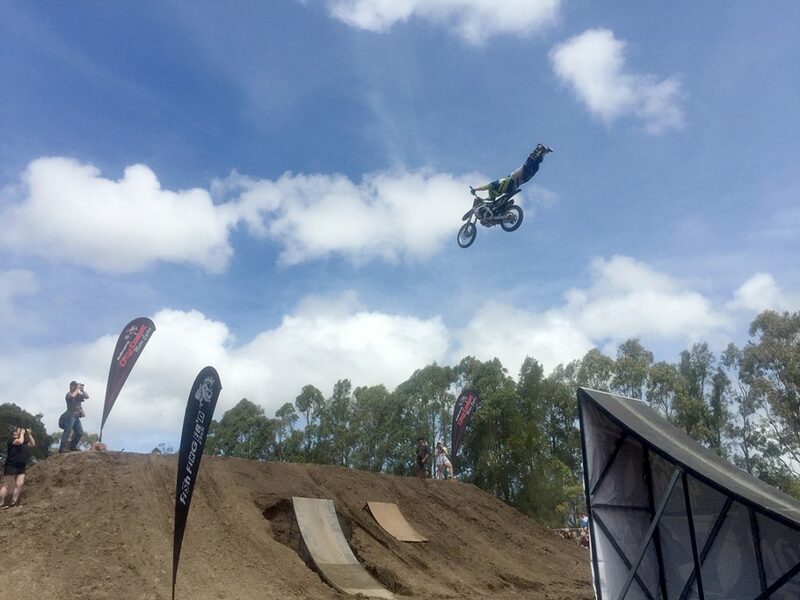 Our resident FMX fanatic Justin “Bushy” Bush mastered the mic while the riders owned the arena. 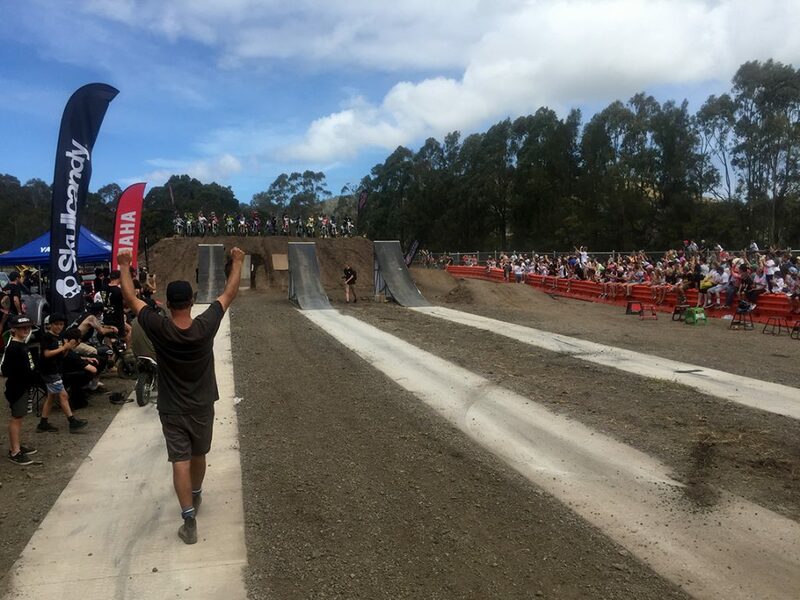 The talent list was on point with Robbie Maddison, Chucky Norris, Luke McNeill, Tom Robinson, Cory Bozzola, Alex Bucholtz, James Martin, Jake Bowen, Dylon Mcdonald, Scott Perry, Ben Richards, Tom Richards, Codie Rooney, Will Schwarz and Oliver Hutchinson. 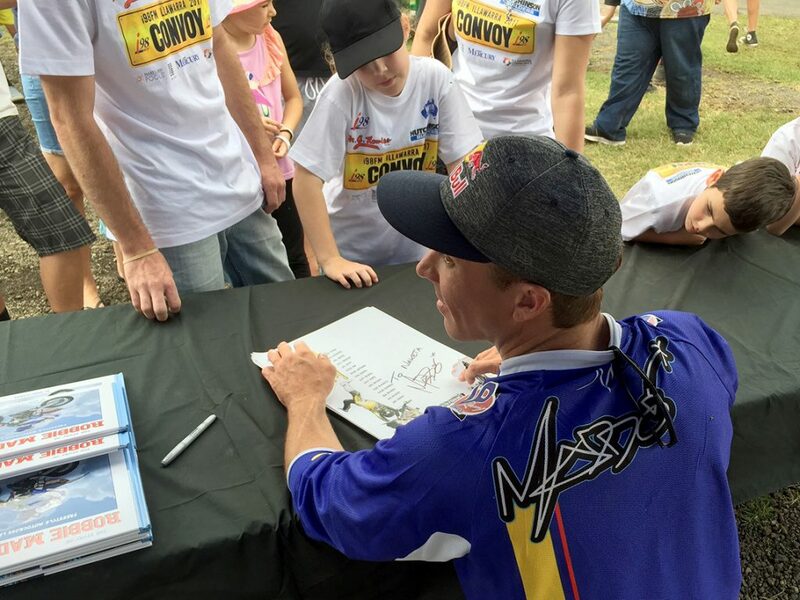 Fans lined up to receive a personally signed copy of Maddo’s children’s book. 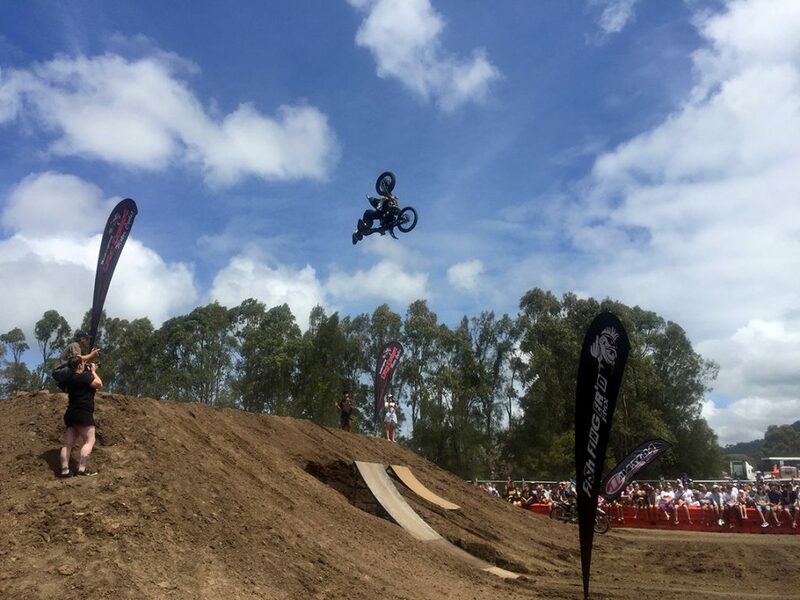 There were Skullcandy giveaways, mini-bike races, a best whip comp and monster FMX moves. 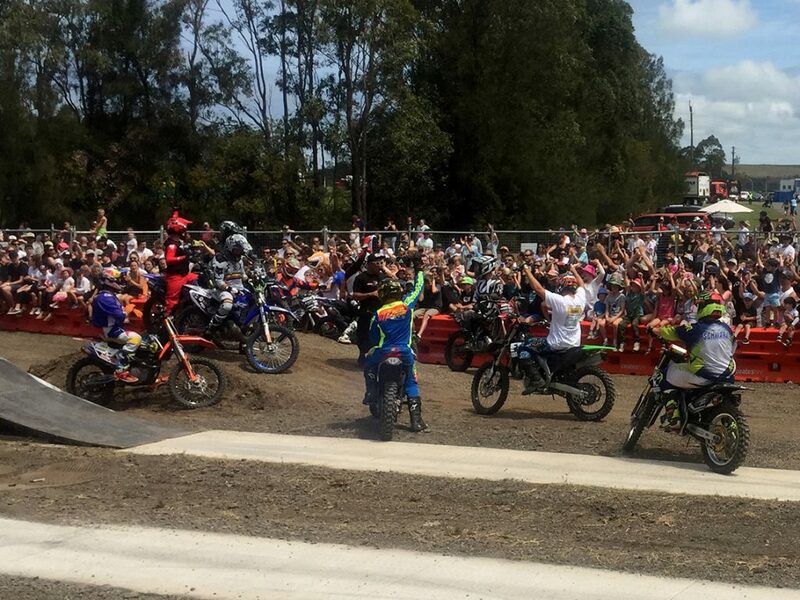 The energy in the crowd was electric, photographers took position and the riders delivered. A day like this cannot happen without a huge team effort. 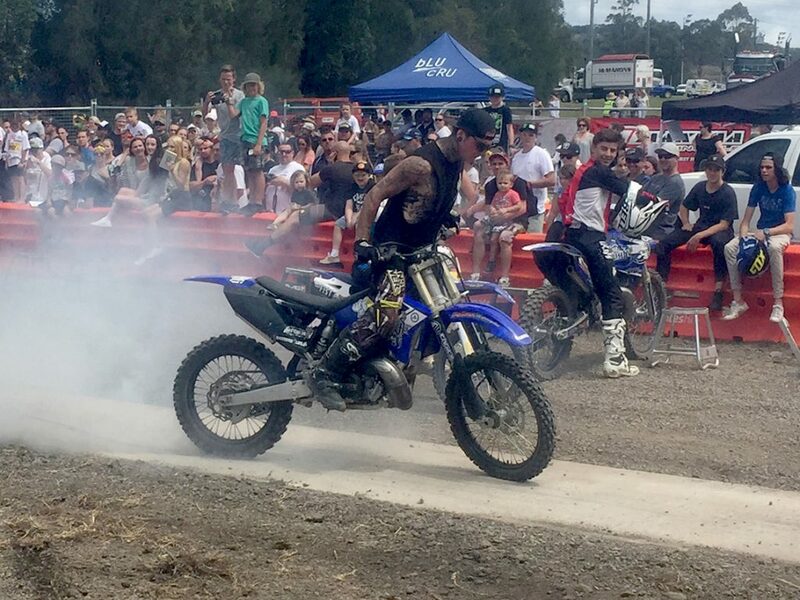 City Coast Motorcycles would like to thank the performers, Pete and Shez Yates of Yatcon Civil, M J Rowles, Zach Hofer, Norm Rees, Brown’s Graffix, Skullcandy Australia, Yamaha Motor Australia, Fish Fingered, CMG Audio, Headstrong Films, Freerider MX Magazine, i98fm and the Illawarra Community Foundation. 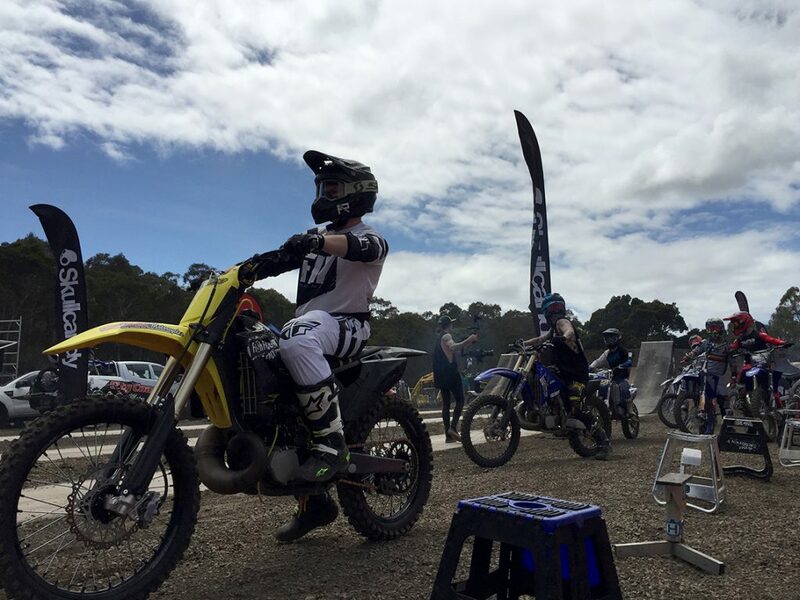 City Coast Motorcycles also had its first Illawarra Convoy lead bike team and truck, raising a combined total of $18,842. Read our windup and view images HERE.